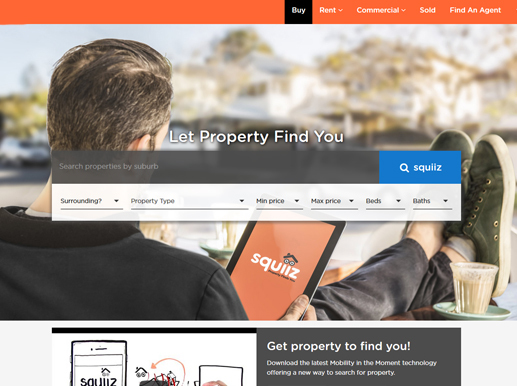 Squiiz is an exciting new real estate platform which provides a fast and simple way to search for all types of property. With all of the major real estate groups and independent agencies listing properties on Squiiz, you can browse a huge number of properties which are relevant for you. Simple search functionality will display properties beautifully on your phone, tablet or pc. 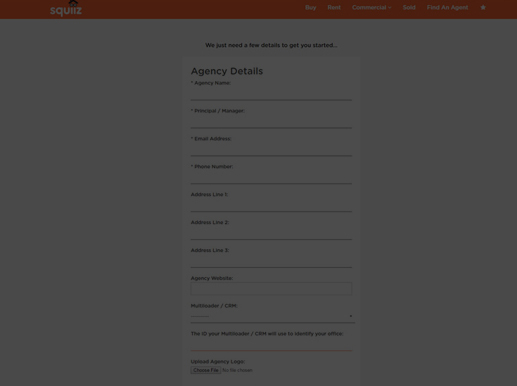 Whilst your ‘MySquiiz’ account allows you to save Favourites and agent contacts etc. Clients have been using the offline medium for marketing. Developing from a large offline presence to online lead generation has its implications. The real estate industry is forming a shift in the space and like every other competitor most real estate players do not clearly define the boundaries of what makes a good marketing strategy. The website also needed to allow the builders, traders, suppliers, corporate admins, customers and other service providers to interact & carry out their day-to-day operations. The solution provides the capabilities to scale-up as per the need and ensures data-availability at all times. It helped the client to establish real-time communication between traders & builders, thus automating the process to gain profitability and improve efficiency. 01 Users can search the properties smoothly, quickly and find accurate results. 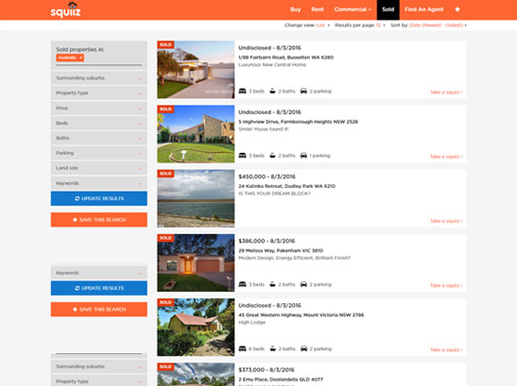 02 Users can sort properties by latest, oldest, featured, cheapest and they get properties they want with one click instead of tiresome jumping from one page to another. 03 Properties with more photos have more views - that's a fact. Usually agents upload 10-15 photos to show most attractive rooms, or property features. Spend some time and money to make your gallery look fancy. 04 Option to view property on the map is one of the important feature in website. Address information without map view is inconvenient for website visitors.